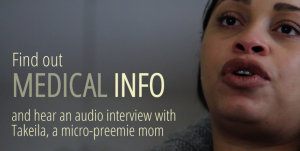 Preemies.org is a master’s thesis project developed to provide support and resources to families with premature babies. 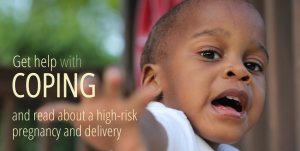 Research was conducted about prematurity, neonatology and health communication messaging from August 2010-December 2012. Prior to my graduate studies, I worked as the marketing coordinator for the UNC-CH Kenan-Flagler Business School specializing in online publications. 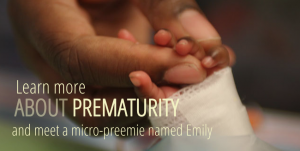 With my background in building a web presence, and with applied multimedia training through graduate studies, Preemies.org is designed with clear navigation and overall usability in mind. It is my hope that with continued enhancements, Preemies.org will become the premiere website for comprehensive information and support for parents of preemies. Special thanks to Rebecca Yan and Rachelle Branca for help with programming and graphic design. I also want to extend a special thank you to my family and to Kerry Garth. I couldn’t have done this without you. Looking back I’m grateful for the person my preemie experience has made me become. I hope that your little miracle enriches your life as much as my little miracle has brought strength and courage to mine. If you would like to find out more information about a specific topic or if you would like to share your preemie story, please submit your request below.